Filipinos need to secure a visa to travel to China. Don’t worry, getting a Chinese tourist visa in Cebu is not as complicated as you think. It’s fast and easy as long as you have all the requirements ready. Processing takes less than a week (provided you have complete requirements). Here’s the list of requirements. 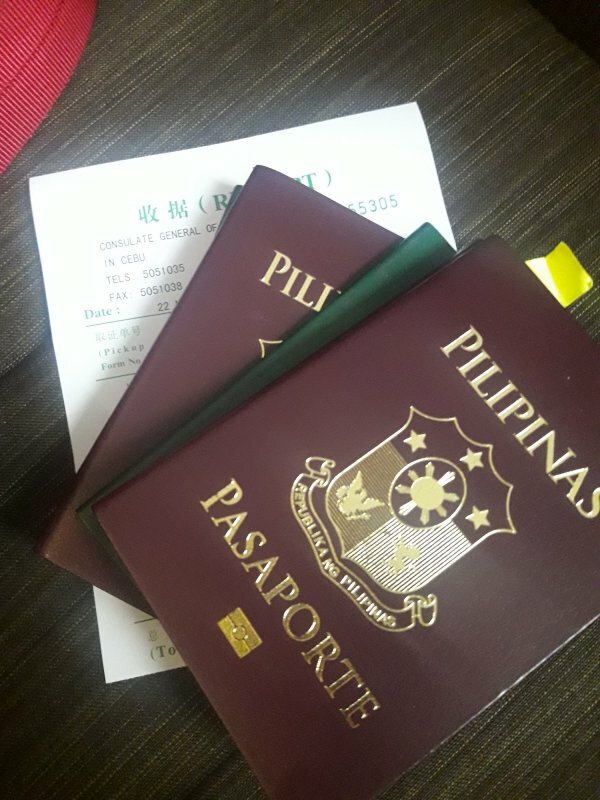 We also have a guide on how and where to get your Chinese tourist visa in Cebu. This guide is for those who will be going to China as a tourist without an invitation from a family member or friends. 1. Original passport. 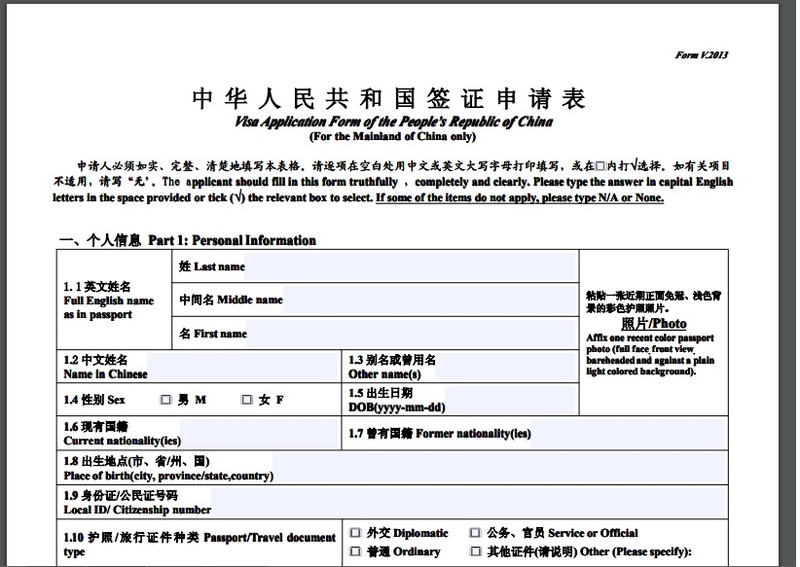 Your passport must be valid for 6 months before your travel to China. It has to have at least one blank page for your visa. Make a photocopy of your bio page and emergency contact page, this will be submitted together with your original passport. If you have old passports, take it with you the consulate office will require you to submit it. You must type it in capital letters. Don’t forget to leave any space blank. Type Not Applicable or N/A if it does not apply. 3. Photo – photo size is 48mmx33mm, colored, must be recent and in white background. You must provide 2 pcs., attach one to the application form and clip the other one on the left side of the form. Have your photo taken in a reliable photo studio. I always get mine and my family’s visa photo taken at Small Wonders along Gorordo Avenue (near Harold’s Hotel). We got all our visa photos in this studio. They know the sizes and the dos and don’ts. 4. Round-trip ticket. Yes, you are required to have a round-trip ticket. It could be a reservation from the airline. For us, we snatched a deal during an online sale so we secured our tickets way ahead before we got our visas. We don’t recommend this though, especially if it is your first time to travel. Online deals are usually non-refundable in case you don’t get your visa approved. 5. Hotel Reservation. You need to present a hotel booking reservation. There are a lot of online hotel booking sites to secure this. You may check booking.com and Agoda.com. For us, we used our Airbnb booking confirmation. 6. Travel Itinerary. If you are traveling to China for 7 days, provide your daily itinerary for the whole 7 days. Below is a sample of our itinerary. • BIR Stamped ITR – my husband and I both have our most recent ITRs but it was not BIR stamped yet since our employers' head office are in Manila. During the time we needed to submit our requirements both our ITRs are pending for submission to BIR. We wrote a letter to the Consul General explaining why our ITRs don’t have stamps yet. • Certificate of employment – secure a COE from your employer and your COE must have the following: your length of stay within the company, your position, and the details of your salary. • Bank certificate and bank statement. Now, these are two different things. Bank certificate states the balance of account while the bank statement reflects your deposits and withdrawals. You need to present a bank statement for 6 months. If you have a passbook, you may photocopy your passbook including pages from the last 6 months, go to your bank and have them stamp that it’s a certified true copy. For your bank certificate, your bank will have to issue this. Remember to secure an OR for this transaction, and submit the OR along with your bank certificate. My husband and I have joint accounts, upon submission of our requirements, we shared the Bank certificate and Bank statements the representative from the consulate requested for us to submit a photocopy of our marriage certificate, it will be good to have one ready. 1. Go to Mandarin Plaza Hotel. Monday – Friday from 9 am – 11 am only. There is a guard stationed in the lobby specifically for the Consulate of China, go straight to guard in blue polo. 2. If you are carrying a bag with you, you will have to leave it at the Concierge. You are only allowed to take your phone, wallet, and requirements. 3. The guard will take you to the Consulate. Remember you need to be dressed properly when you apply for your visa. No slippers, no shorts. Just go there properly dressed. 4. Once you are in the Chinese Consulate, you will be given a number. Wait for your number to be called to submit your requirements. 5. After submitting your requirements, you will be given a slip and instructions on how to pay for your application. You will have to go to Metrobank to pay for the transaction. A single entry application costs P1400. Don’t forget to get your copy of the deposit slip; you will need to present this along with your claim slip when you get your passports back. 6. Processing for your visa only takes four days. My husband and I went on a Monday, we were able to get our passports back with our visas four days after. d ba kaha ma reject imong application for tourist once they found out na working (z visa) imong previous visa?